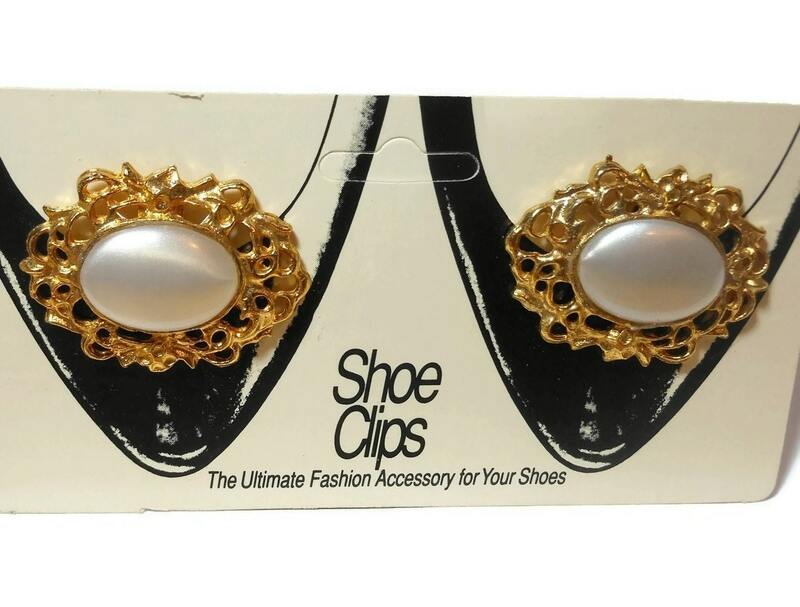 "ShoeClips can be worn on the front, side or back of shoes in colors that coordinate or contrast with any look. 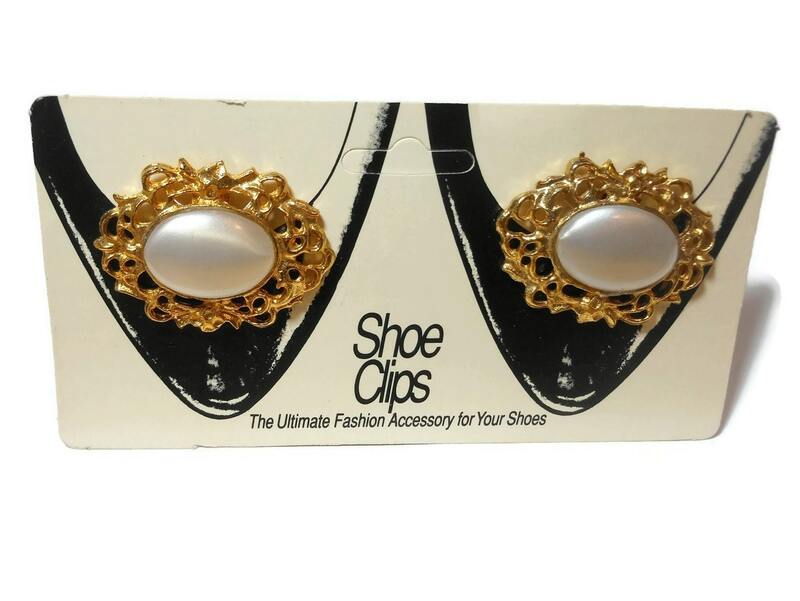 When you wear a Latique ShoeClip, you wear The Ultimate Fashion Accessory for Your Shoes." 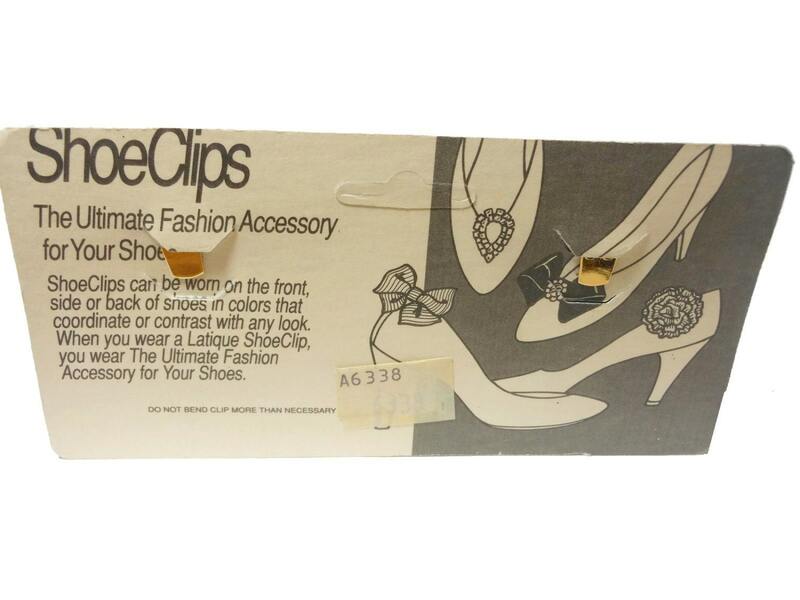 They measure 1 7/8" (4.7 cm) X 1 3/8" (3.5 cm) and are in like new vintage condition.